Be prepared to fall in love with this flawless dual-level townhouse for its enviable convenience, up-to-the-minute contemporary design, modern fixtures and the lifestyle opportunities it provides. 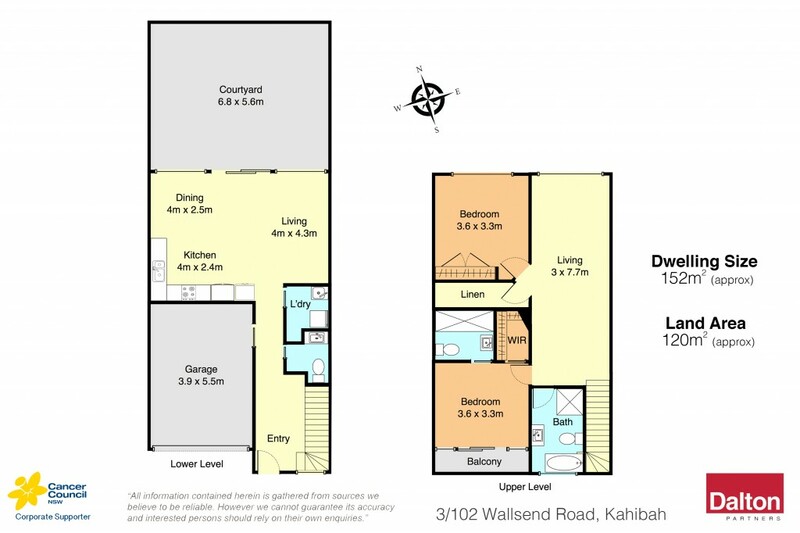 Presenting as new with superb investment, downsize or first home credentials, it delivers an incredibly central location with major shopping centres, Glenrock reserve, world-class beaches, popular schools and daily essentials all in equally easy reach and rests within a leafy pocket of much loved Kahibah. * Open plan living zone with hardwearing tiles and outdoor access. * Second floor living domain adds floorplan versatility. * Smart modern kitchen featuring gas cooking and dishwasher. * Two generous bedrooms appointed w/ built-in/walk-in robes. * Sparkling family bathroom, master ensuite and powder room. * Sunny north facing courtyard ready for alfresco dining. * Moments to major shopping hubs, local cafes and city transport. * Secure single garage with internal access; ducted air conditioning. Council Rates: $1368 PA approx. Water Rates: $563 +Usage approx. Strata Levies: $2617 PA approx.